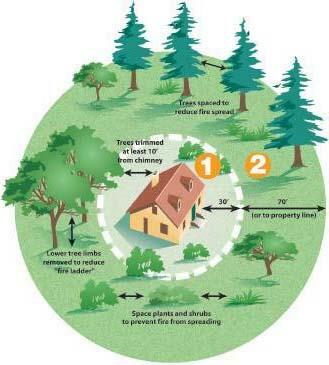 There are lists that purport to distinguish between plants that burn easily and those that don’t on Marin Municipal Water District and Firesafe Marin websites (firesafemarin.org), but remember, maintenance and defensible space is the key to fire safety. You can also take a look at the UC article “Sustainable and Fire Safe Landscapes” at cemarin.ucanr.edu. One in three California homes is estimated to be at risk of being affected by wildfire. Think back to the 1995 Vision Fire at Point Reyes that burned 45 homes and over 12,000 acres of wildland. Or worse yet, the Oakland Fire of 1991, started by a grass fire that destroyed over 3,000 dwellings, killing 25 people. The October 2017 Tubbs fire in Sonoma and Napa County burned more than 5,600 dwellings and killed 22 people, with some of the worse damage in Santa Rosa.